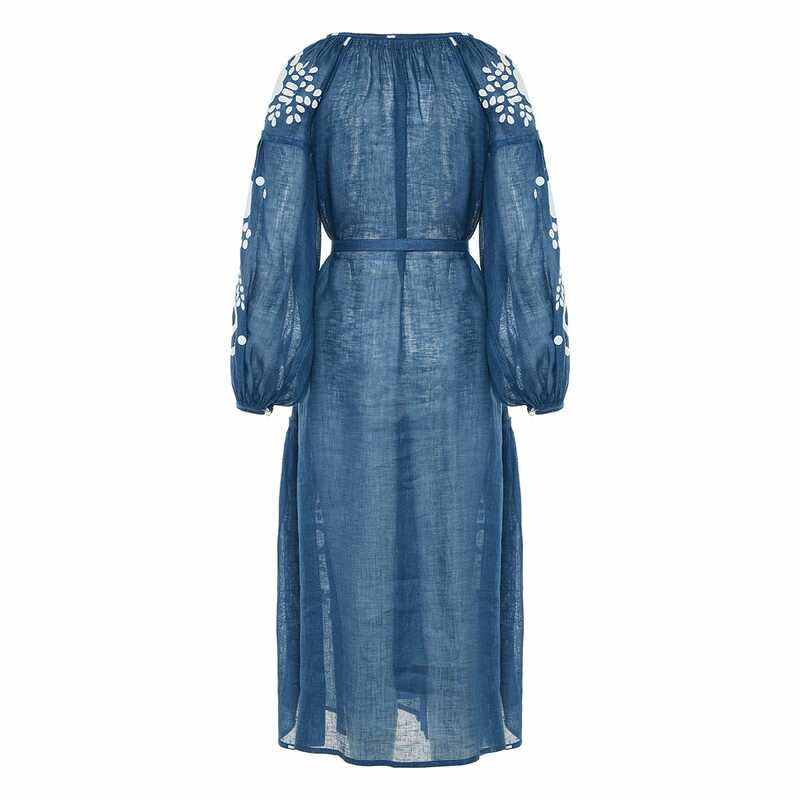 Crafted from lightweight airy linen, this semi-sheer dress from Vita Kin is embellished with contrasting hand-applied floral patches on the bodice and sleeves. Round neckline with tasseled drawstrings, balloon sleeves, self-tie belt on the waist, side pockets, pleated skirt and ankle length are its main features. A pair of leather flat sandals will complement it perfectly.